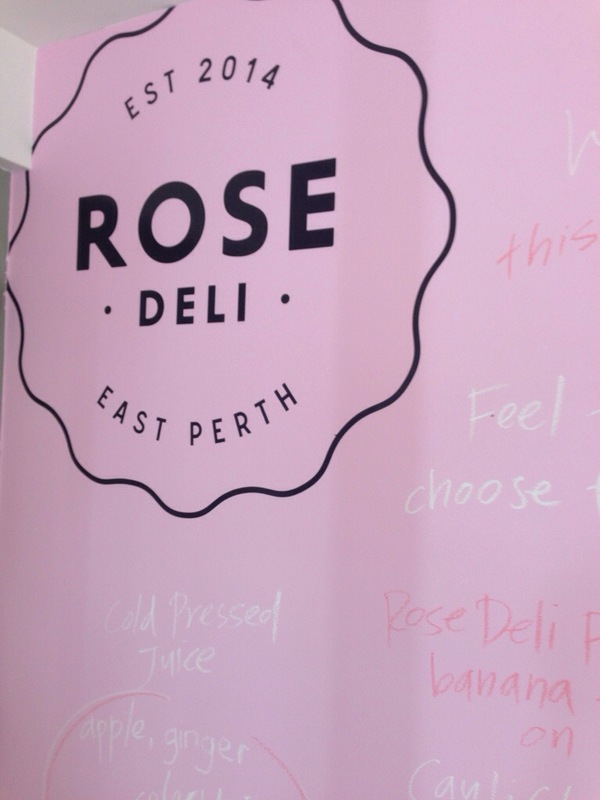 We stumbled upon the just opened Rose Deli on Royal st and were keen to check it out. The interior is in beautiful tones of pale pink and light tan wood. There’s roses on every table and pink cups and crockery to match. It’s a light and pretty atmosphere to dine in. 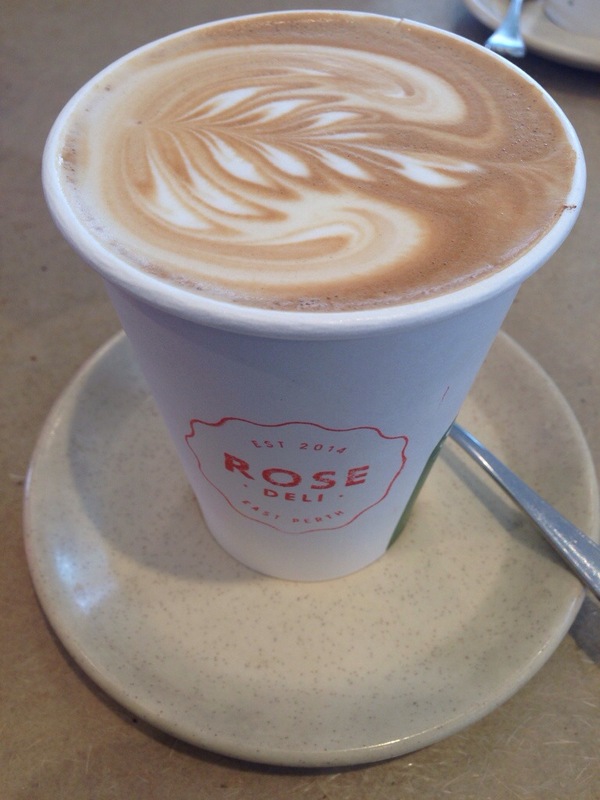 The coffee at Rose Deli is really refreshing. They offer a takeaway cup to have dine in with an extra shot, which we decided to take advantage of. We haven’t tasted a bean like this recently, it was beautiful with a rich and smooth flavour. The latte art was pretty spot on too. The barista was happy to tell us it was a rubra bean, and her face lit up when she discussed it, just what you want for your morning ritual. There’s a small menu of things to choose from, with extra specials on the wall. They have three different types of museli, needless to say we were excited, and ended up with two items from the specials board. 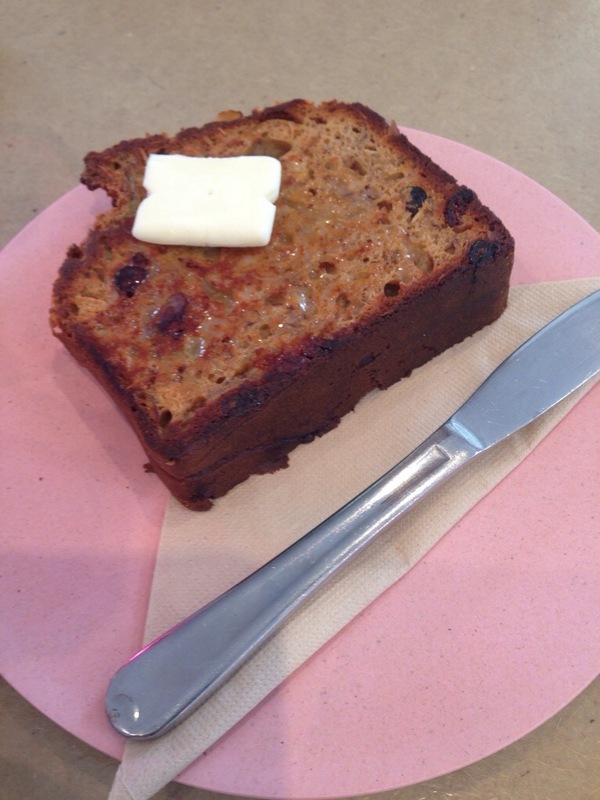 We got carried away and also ordered a slice of the plum, banana, coconut and apple slice to share. It was delicious but slightly under-mixed, not a bad thing, more there were so many flavours you tended to get one or two in each bite. 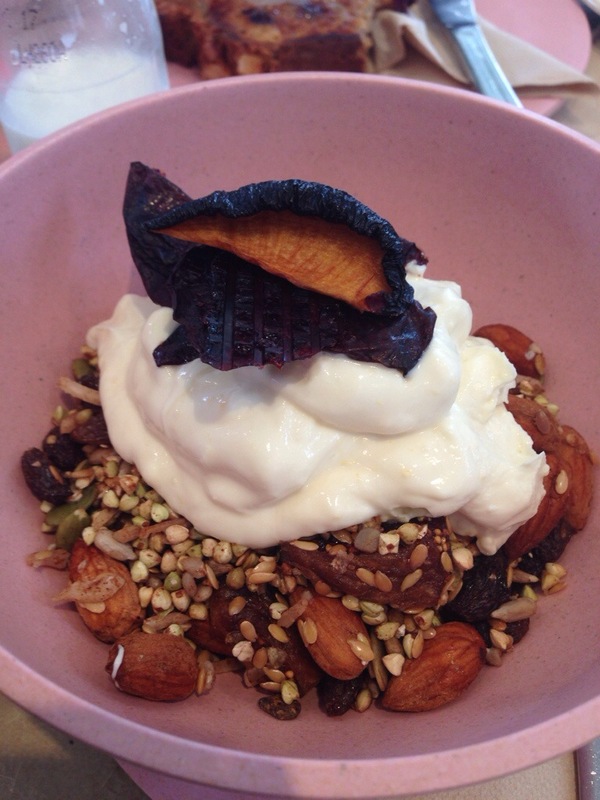 The first of our specials was a buckwheat granola, with semi dried plums and vanilla labne, a form of yogurt. This was a truly fantastic granola, it was light and crunchy, with bits of chewy fruit and a mix of nuts and seeds. The labne seemed to have a bit of lemon, which worked perfectly with the sweetness of the plum and hint of vanilla. This was just a really satisfying and healthy breakfast to start the day. We’re keen to try their other museli specials now! 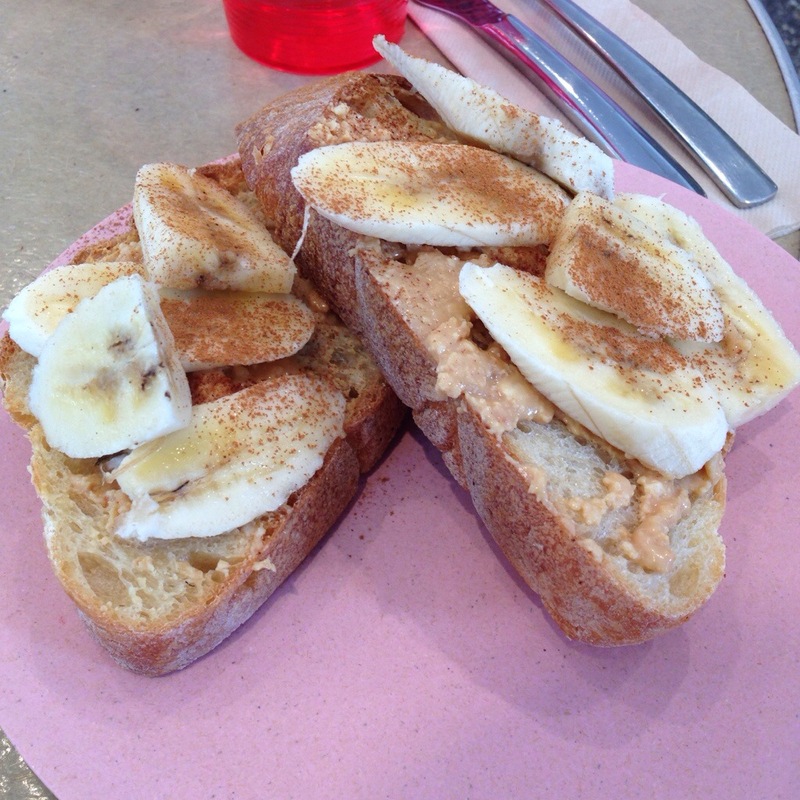 The final meal we tried was a home made peanut butter on sourdough toast with banana and cinnamon. It’s such a simple dish, but its so delicious! The sourdough was light and crisp, we ate it with our hands, it would have been almost impossible to attempt it with a knife and fork. The peanut butter was the hero of the dish, delicious and just a little chunky. The meal as a whole had just the right amount of everything involved, and well worth the $8.90 we paid for it (seriously). 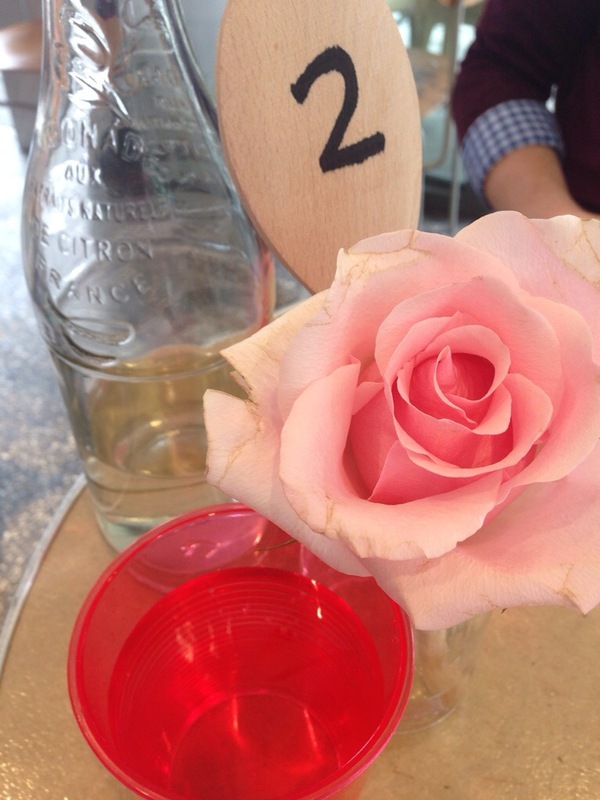 The Rose Deli is such a fabulous little cafe! A great edition to the East Perth area, and particularly impressive considering it has only just opened! Make sure to click the follow button so you don’t miss out on the latest foodie goodness. You can now find me on instagram and Facebook too!